Bentall Kennedy is one of North America’s largest real estate investment advisors. We are also Canada’s largest property manager, providing comprehensive real estate services to our clients. Bentall Kennedy serves the interests of more than 550 institutional investors across office, retail, industrial, and residential properties throughout North America. As a leader in Responsible Property Investing, we are committed to best-in-class environmental, social and governance practices in developing, leasing and managing commercial real estate. CGPV is a joint venture company between Country Garden Holdings Ltd and Esplanade Danga 88 Sdn Bhd, an associate company of Kumpulan Prasarana Rakyat Johor (KPRJ). CGPV is the master developer and creator for Forest City project, a mixed development comprising residential and commercial properties on four reclaimed island. The project completion spans over a period of 30 years. Cushman & Wakefield, Inc., is the largest privately held real estate services firm in the world. Founded as a property management firm, Cushman & Wakefield has also become the largest, nonowner, third-party property manager of commercial space in the world, with 430 million square feet of property under management. Operating from some 200 offices in about 60 countries, the firm serves the real estate needs of corporations and financial institutions worldwide. In addition to property management and brokerage services, the 11,000-plus employees of Cushman & Wakefield provide research and market analysis and many other advisory services, assisting clients in the buying, selling, financing, leasing, and managing and valuing of assets, as well as providing strategic planning and research, portfolio analysis, site selection, and space location. Through its consulting services operations, Cushman & Wakefield is the only real estate services firm that performs primary research and data-driven analysis on a national and international basis. With more than 200 researchers on staff, the firm’s data and analysis services are used by corporations, financial institutions, U.S. cities, counties, government agencies, and federal agencies, including the Federal Reserve. Growthpoint Properties Limited is South Africa’s leading listed property investment corporation on the Johannesburg Stock Exchange (JSE) and they boast with a market capitalisation in excess of R49.9 billion as of June 2013. Established on the Stock Exchange in 1987, Growthpoint rapidly grew from a market capitalisation of just R30 million to a market capitalisation of more than R30 billion – in just a single decade. They have three major offices located in: Sandton (which serves as their head office), Claremont in Cape Town, and in Umhlanga Ridge near Durban. They have a large and varied business property portfolio which consists of more than 390 properties throughout South Africa and one in Namibia. They also recently launched Growthpoint Properties Australia of which they own 65% and where they own more than 40 properties. They also have a 50% market share in the popular Victoria & Alfred Waterfront in Cape Town. Msheireb Properties is a real estate development company and a subsidiary of Qatar Foundation. The company was established as a commercial venture to support the foundation’s aims, as well as the goals of Qatar’s 2030 Vision. Msheireb Properties’ mission is to change the way people think about urban living and to improve their overall quality of life, through innovations that encourage social interaction, respect for culture, and greater care for the environment. An emerging leader in sustainable development, its signature project Msheireb Downtown Doha employs a new approach to urban planning by combining traditional methods and modern technology aimed at preserving the environment as well as the cultural identity of Qatar. Msheireb Properties partnered with industry leaders and experts in order to align the architectural lessons of the past with the latest in eco-friendly technologies to realise a language that is relevant, enriching and truly Qatari. The new language will be used to create buildings of a shared DNA, reviving local heritage and culture through a unified architectural idiom. Msheireb Properties received ISO certification from the British Standards Institution for quality (ISO 9001:2015), environmental performance (ISO 14001:2015), occupational health and safety (BS OHSAS 18001:2007), and Risk Management Standard (ISO 31000:2009). With Msheireb Downtown Doha, the company is developing a blueprint for sustainable urban regeneration, and believes in sharing its knowledge and experience with the industry. As one of the leading companies in the field of urban development Nam Cuong Group has set the foundations for endless businesses to grow. 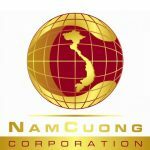 Valued for its principles and known for its signiture credit, Nam Cuong Group constantly strives to deliver quality and results to become trusted partners in every business domain. Currently speacialisng in Hospitality and tourism, as well as construction and urban area development, we are always looking forward to collaborating with international and domestic partners in our mission to aid Vietnam in its steps to modernization and industrialization. Our soul objective is to create a developed and prosperous Vietnam while preserving the welfare of local citizens and future generations to ensure a sustainable and brighter future.